With more than half of Puerto Rico still without water, a Virginia entrepreneur has proposed to President Trump and his administration a $1 billion initiative to prepare every home on the island for inevitable future hurricanes that will again leave the population without water. “Water is the most important commodity during a disaster, yet there are always delivery delays. Having a ready 40-120-gallon supply of fresh emergency water in every home would dramatically reduce the acquisition, logistics, and first-responder costs associated with disaster water,” Walls added. “And for long-duration outages, it would reduce the spread of disease associated with lack of water for basic hygiene and sanitation,” he said. 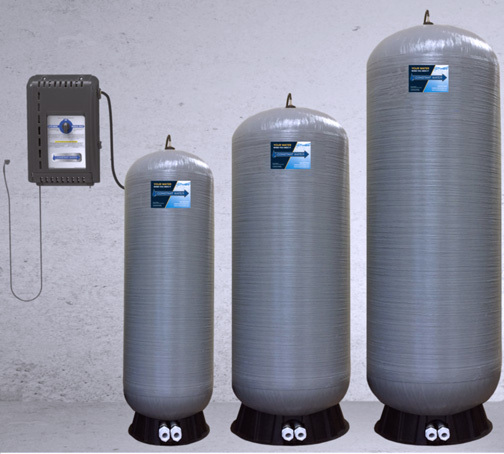 Constant Water is a battery/solar-powered, backup water system that provides 40-120 gallons of fresh water, under pressure, throughout the home or business. Soon after the hurricanes, Constant Water reached out to the Federal Emergency Management Agency to offer systems for near-term relief and long-term preparation, the executive said. A number of relief organizations also contacted Constant Water. In all cases, they agreed the infrastructure damage on the island was simply too great; concluding future deployment was a better approach. “Including water resilience with the reconstruction efforts under way, and that will continue for some time, is the right thing to do. We can prepare for the future starting now,” Walls said. More than 80 million homes in the U.S. receive water from water wells or live in coastal counties at risk of hurricanes. More than 60 percent of Florida, the fifth largest population of homes on water wells, was without power during the recent hurricanes. And many public systems were damaged or contaminated as well. Texas had entire towns without public water for weeks. “We’ll also contribute significantly to expansion of U.S. manufacturing in the process. There are ‘wins’ here for so many, but particularly the citizens of Puerto Rico. And we’ll happily partner with others to make this reality,” he concluded. Hey Buddy!, I found this information for you: "Virginia-based co. lays out B initiative to build ‘water resilience’ in PR". Here is the website link: https://newsismybusiness.com/virginia-initiative-resilience/. Thank you.